Our NetRAIDer™ 64XLT, Tower Server has been designed to provide cost effective scalability in a classic tower form factor, with optional 4U rack adaptability. Based on the newest 14nm Intel® Xeon® Scalable and Intel® Xeon® E5-2600 v4 Processors, it is available up to 56 cores in a dual CPU configuration and one Terabyte of DDR4 Registered ECC. With a wide selection of enclosures and power supplies, all designed to minimize noise and deliver the best optimal ventilation to the most heavily populated configurations, it is the perfect choice when a dedicated rack server room is not available. Starting with entry level mid-tower single processor, single high efficiency PS and 10 HD bays, our on line builder configurator allows very complex dual and quad CPU with up to four GPU like NVIDIA® Tesla® V100/P100 or XEON Phi™ Coprocessors with redundant high efficiency power supply to 2000W. 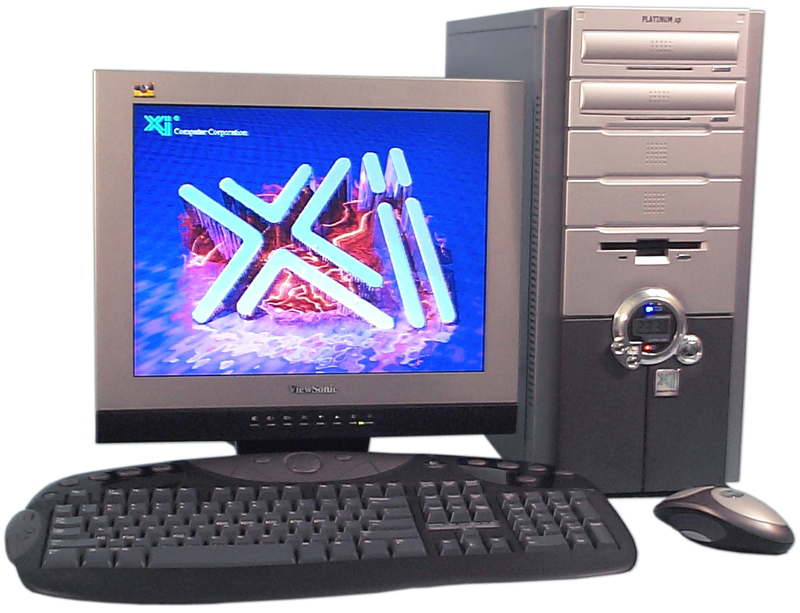 The Xi® NetRAIDer™ 64XLT is fully compatible and supported with Microsoft® Windows® Servers and the most popular Linux® Operating Systems and find its application as a small business, departmental server, CAD file and application server, like Revit® & Naviswork® Host and Accelerator Servers. When equipped with one or more HPC GPU, it can be efficiently use for all aspect of computational assisted research like Genomics, Climate modeling, Fluid dynamics, Oil exploration, Real Time Simulations, High Speed Low Latency Trading and Rendering. A custom quotation, using our highly customizable on-line builder can be produced here. Our experienced application consultants will be following up with the best recommendations in accordance with the client's computational requirements and applications. Intel® Xeon® E5-1600 & E5-2600 v4 processors up to 1TB DDR4 ECC Registered Memory! 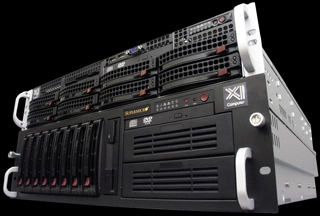 Single/Dual Intel® Xeon® Small Network Server to Large Storage of RAID disk space! 6x SATA 6gb/s w/ RAID 0/1/5/10 capable, Opt. SAS controler.